Note: Camphor is the resin of an Asiatic tree. It is a natural moth repellent and should not be confused with toxic naphthalene moth balls, which are merely scented with Camphor. 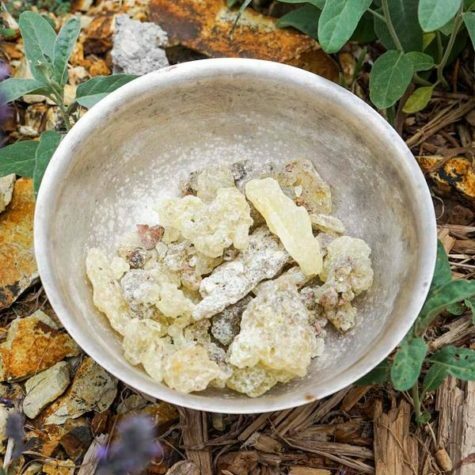 When it comes to the essential oils, only essential oil of white camphor is safe for use. Camphor is a substance frequently taken for granted. It’s used in many lotions and cosmetics because of the cooling sensation it provides. Camphor, botanically related to cinnamon, is considered a sacred lunar plant. In Marco Polo’s time it was bartered for with gold. It is one of the seven substances most sacred to Buddha and meditation upon it, or in its presence, will bring enlightenment. Obtained from the evergreen tree, this fragrant white compound holds many spiritual properties. In voodoo rituals, it is burned for love and attraction. It is one of the most sacred substances to offer to the moon goddess on a new moon to thank her for her abundant blessings. 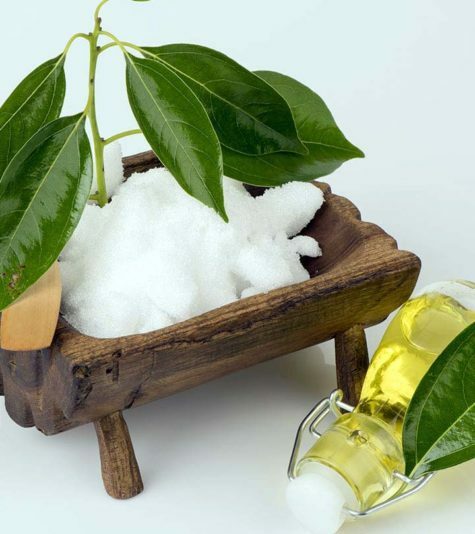 Camphor is also used in cleansing and purification rituals. White camphor oil added to the bath also clears the thoughts and soothes the soul. 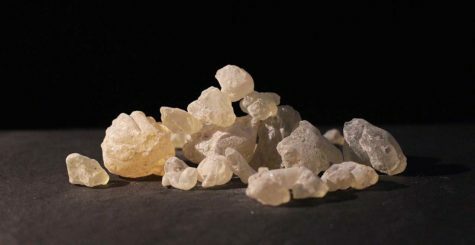 Camphor allegedly reduces sexual desire. Use it to get rid of unwanted passions or unwanted admirers. Burn camphor or add one or two drops of essential oil of white camphor (other forms are toxic) to your bath when you need to cool off. Endeavor a would-be lover to smell camphor if he or she is forcing their attentions on you and you are not interested. It will instantly turn him or her off. Burned on charcoal, Camphor is said to cleanse the home. It may be blended with other incenses for this purpose. The scent of burning camphor purifies a space and brings self-discipline, aiding in controlling and transforming bad habits. 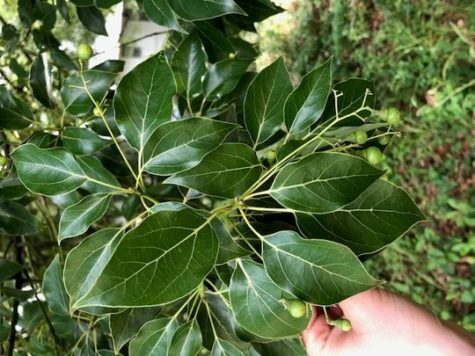 Long used in the Eastern Hemisphere for temple purification and protection, camphor is excellent for deep meditation and gaining insight. A little goes a long way, so if you burn camphor on charcoal, use only a small pinch. 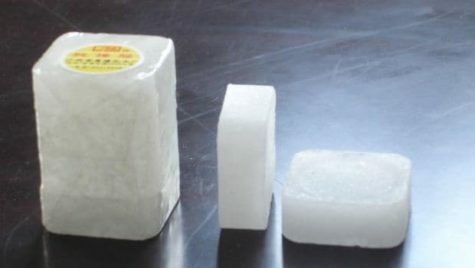 Camphor resin is sold in small squares, four to a pack. 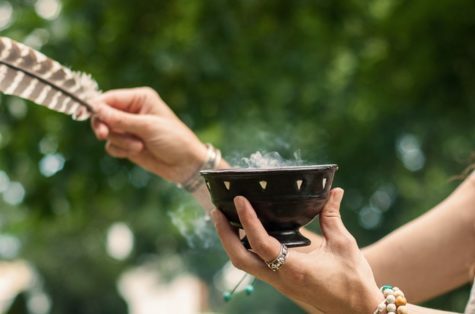 Those who do not wish to burn incense place one square in each corner of a room, or crumble a single square into a bottle, cover it with Florida Water, and leave the bottle open to spiritually cleanse the room. During the days of the polio epidemics, mothers hung camphor balls around children’s necks to ward away illness. This spell works under the same premises, except that what you’re warding off is the metaphysical virus of an unwanted romantic attention, or to ward off illness, negativity, or whatever you would like to repel. 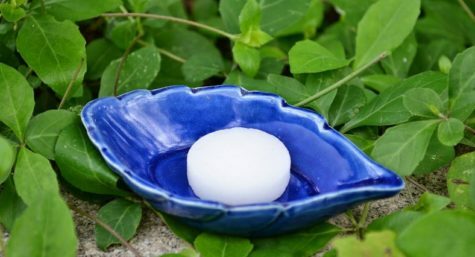 Dip a cotton ball in essential oil of white camphor and keep it in your pocket or tucked into a bra. Alternatively, you could hang it around your neck. NOTE: Be sure not to use any other variety of camphor. Only essential oil of white camphor is safe for use. NOTE: Be careful, camphor can also be toxic. Dragon’s blood is not the blood of some luckless lizard, but the resin of the palm calimus draco. Truly as red as the blood of dragons, this resin is a powerful herb of protection. Burned by itself on charcoal or added to other incense ingredients, it quickly banishes any negative energy or entity. Dragon’s blood also adds power and potency to any working. Use sparingly in an oil blend or in the bath – it will stain enamel scarlet and leave a stain on the skin. 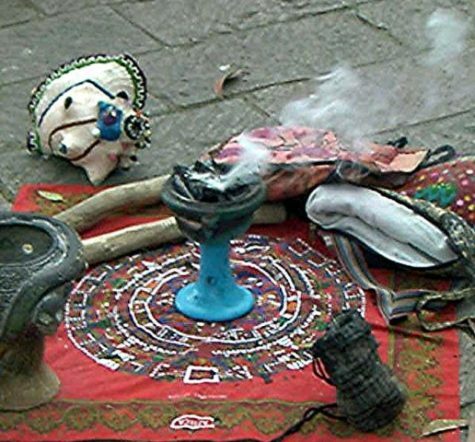 Magically it is used for spells of protection, exorcism and sexual potency. On its own Dragon’s blood can be burnt at an open window to secure a lover’s return, and a piece of the resin placed under the mattress is said to cure impotence. In the past Dragon’s Blood was used medicinally to cure diarrhea, dysentery and even syphilis. 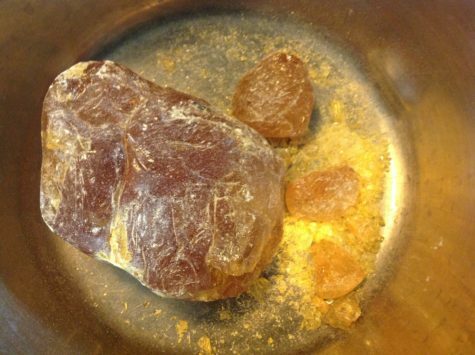 Like many other resins it is also used to stop bleeding wounds. Gravel-sized chunks and powdered Dragon’s Blood may be burned on charcoal. Folks claim that this cleanses the home and rids the premises of evil. It is said to be particularly good when moving into a new home, and may be mixed with Camphor resin for this purpose. Add a pinch of the ground herb to incenses to increase their potency and effectiveness. 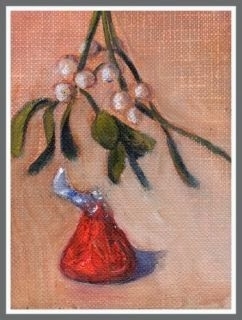 Add to love incenses and sachets. 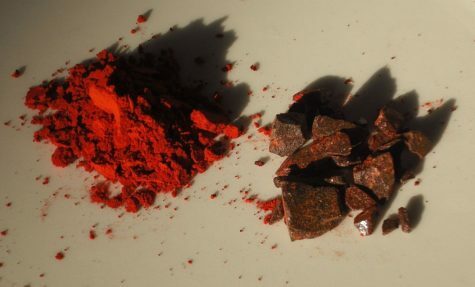 You can create your own pure dragon’s blood oil by crushing the resin into a powder and mixing in a light oil, such as safflower. Heat gently to melt the resin into the oil while stirring. Do not ingest. A great degree of confusion existed for the ancients in regard to the source and identity of dragon’s blood. Some medieval encyclopedias claimed its source as the literal blood of elephants and dragons who had perished in mortal combat. The resin of Dracaena species, “true” dragon’s blood, and the very poisonous mineral cinnabar (mercury sulfide) were often confused by the ancient Romans. In ancient China, little or no distinction was made among the types of dragon’s blood from the different species. Both Dracaena and Daemonorops resins are still often marketed today as dragon’s blood, with little or no distinction being made between the plant sources; however, the resin obtained from Daemonorops has become the most commonly sold type in modern times, often in the form of large balls of resin. Voyagers to the Canary Islands in the 15th century obtained dragon’s blood as dried garnet-red drops from Dracaena draco, a tree native to the Canary Islands and Morocco. 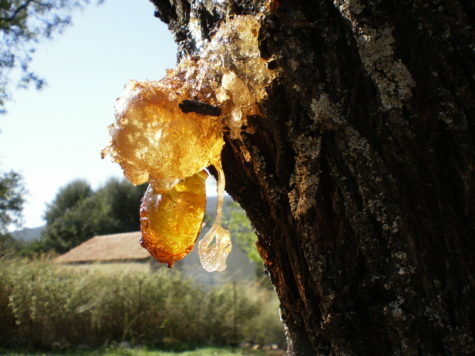 The resin is exuded from its wounded trunk or branches. Dragon’s blood is also obtained by the same method from Dracaena cinnabari, which is endemic to the island of Socotra. 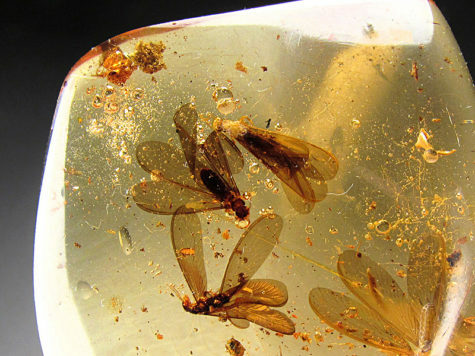 This resin was traded to ancient Europe via the Incense Road. Dragon’s blood resin is also produced from the rattan palms of the genus Daemonorops of the Indonesian islands and known there as jerang or djerang. It is gathered by breaking off the layer of red resin encasing the unripe fruit of the rattan. The collected resin is then rolled into solid balls before being sold. Sangre de Dragon, more commonly know as Dragon’s Blood, is a wild crafted resin that comes from the Croton Uechleri trees found in the Amazon Rainforest of South America. 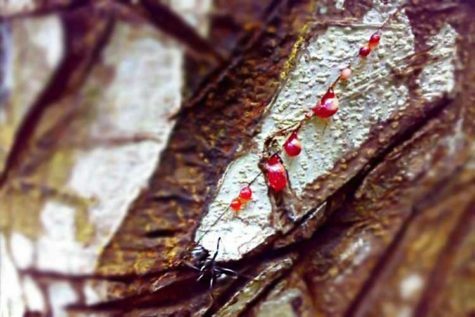 The heart shaped leaves and the blood-like red sap speak to the abilities of this beautiful tree to heal wounds and cleanse the blood. The Flowers found high in the branches resemble the dragon’s head, thus the interesting name, as well as a symbol of its fierce healing ability.